REMINDER: We will be meeting at the Church parking lot Friday, April 5th at 4:00PM to leave for Spring Camporee at Lincoln Parish Park, Ruston, LA. Regular travel rules apply; Wear your Class A Uniform and bring a sack meal for that evenings meal. 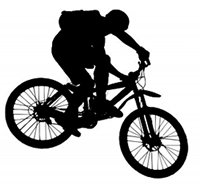 If you are bringing a bike remember to also bring a helmet (it is required in order to ride). Pack for a two night campout, the weather forecast is looking good right now Fr, 71/46; Sa, 76/53; Su, 75/60 with a less than 10% chance of showers. We will be returning Sunday midday. Watch our Facebook feed for live updates from the field.